Carnival vs. Royal Caribbean: Which Cruise Line Is More Expensive? Carnival and Royal Caribbean are without a doubt the two largest players in cruising. Both cruise lines serve ports around the country, from New York to Miami to Galveston to Seattle. Each year literally millions of passengers embark on a cruise with one of these two companies. Given the competition for passengers, the two lines go head-to-head constantly to win over the minds — and wallets — of vacationers. For now, it seems that Carnival’s advantage is offering service in a wider variety of smaller ports, including places like Mobile, Jacksonville, and Long Beach. Royal Caribbean’s advantage is larger, more innovative ships, including its Oasis-class vessels that are the largest cruise ships in the world. But at the end of the day, while there are definite differences between the lines, many cruisers make a choice based on one criteria — price. The focus on price makes sense. While there are definite differences in the cruise lines, much of their product is exactly the same. Most cruises sail out of the same ports like Miami, Port Everglades, Galveston, and others. Most cruises also sail to the same destinations like Cozumel, Jamaica, the Bahamas, and others. On the ship, the experience is largely the same as well. Both cruise lines have formal nights, loads of activities, and shopping. We’re not saying there aren’t differences, but for the most part cruises on either line are similar. That leaves price as a major factor. So if price is one of the major differences, we wanted to see just how these two cruise lines compare when it comes to how much you’ll spend on a cruise. To compare prices, we turned to the results of a massive research study. We looked are more than 2,500 cruises setting sail during the next year from both Carnival and Royal Caribbean. Our study looked at cruises departing from February 2017 through January 2018. This date range gave us a full year of departure dates and complete schedules. From there, we looked at every single cruise departing from a North American port, which overwhelmingly means the United States. This covers every major port from Seattle to New York to Miami to Los Angeles. It also includes departures from San Juan, Puerto Rico and Alaska. Of the 2,506 cruises we gathered for this research, many of them were longer cruises (>10 days) that can skew results. That’s why we looked only at shorter cruises — those lasting 3-7 days. We’ve shown the results below. In total, 2,128 cruises made it into our final analysis. All prices used in our analysis were for the base fare for one person in an interior cabin. No taxes or port fees were included. So how do the cruise lines stack up? In total, the average price of all Carnival cruises was just $458 for the base fare across all cruises. Royal Caribbean was about $200 higher, coming in at $666. As you would expect, fares increase the longer your trip. On a price per night basis, Carnival also comes in cheaper on every single length of cruise. 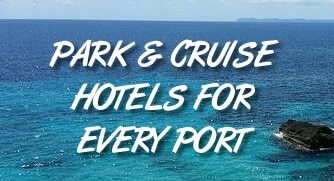 Its cruises range from an average low of $84 per night for a four-night cruise to $95 per night for a six-night cruise. Cruise lengths of 4 and 5 nights offer the best value on a price per night basis. Royal Caribbean’s cruises are more expensive across the board. This doesn’t mean there aren’t occasional trips that will be cheaper than Carnival, just that they are typically more expensive. As you can see, Carnival is your best option if you are looking for a cheap cruise. However, we don’t think you should automatically count out sailing aboard Royal Caribbean. For one, many people claim that Royal Caribbean offers a calmer atmosphere that is more fitting for passengers looking for a less hectic vacation. As well, just because the cruise line tends to be more expensive than Carnival doesn’t mean some trips aboard Royal Caribbean won’t be less expensive. There is also more to a cruise than price. Amenities like the ship, ports of call, and the cruise schedule are all potentially worth more money to passengers. But if you are strictly a price hunter for your cruise, then we think your search should begin with Carnival. Read more on the absolute cheapest day to cruise, and what days to avoid.